Madame Sherri, with her husband, Andre, were involved in show business in New York City from about 1912 to 1924 (when Andre died). They were dancers early on, but Andre mostly turned his attention to producing musical shows, and Madame Sherri (whose first name was Antoinette), became a costume designer. Their company was called Andre Sherri, Inc.
After the death of her husband, Madame Sherri purchased property in Chesterfield, New Hampshire, and had an unusual, castle-like home built there. She was known to drive around the area in a Packard automobile, which thrilled (or annoyed) local residents. As her health declined and her money gave out, she was relocated to nearby Brattleboro, Vermont, where she died without the fanfare she had enjoyed during her Broadway career. Her treasured "Castle" was destroyed by fire, and today the barren remains stand in a wooded area. The area surrounding her home has been made a recreational area, known as Madame Sherri Forest. 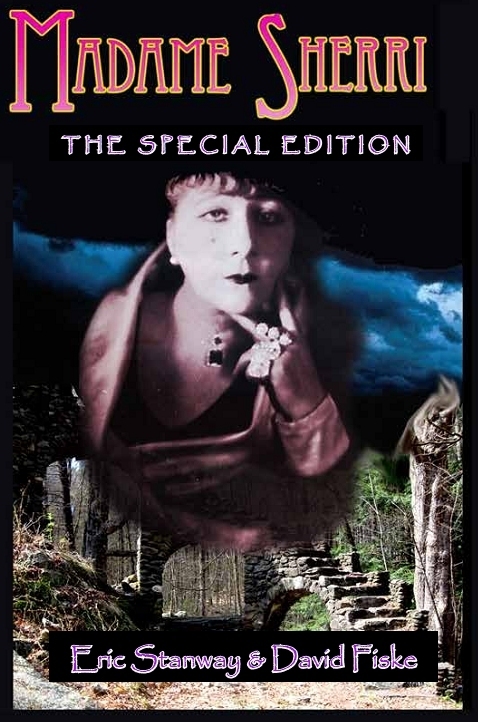 Amazon listing for book, Madame Sherri - The Special Edition, by Eric Stanway and David Fiske (2014). This book updates Stanway's earlier work on Madame Sherri, and contains much new information on this fascinating woman. Though it has been known for some time that she was a costume designer, there was much more to her show business career She and her husband Andre traveled the vaudeville circuit, performing as dancers. Later, Andre produced musical shows, which Madame Sherri "dressed." Read about Madame Sherri on the Happily Blended blog. Read about Happily Blended's Brandy visit to Madame Sherri's Castle (includes photos). Read a press release about Madame Sherri - The Special Edition. Use bookfinder4u.com to find out where the book may be purchased. Author David Fiske gives an overview of the Fascinating Madame Sherri on the Happily Blended blog. 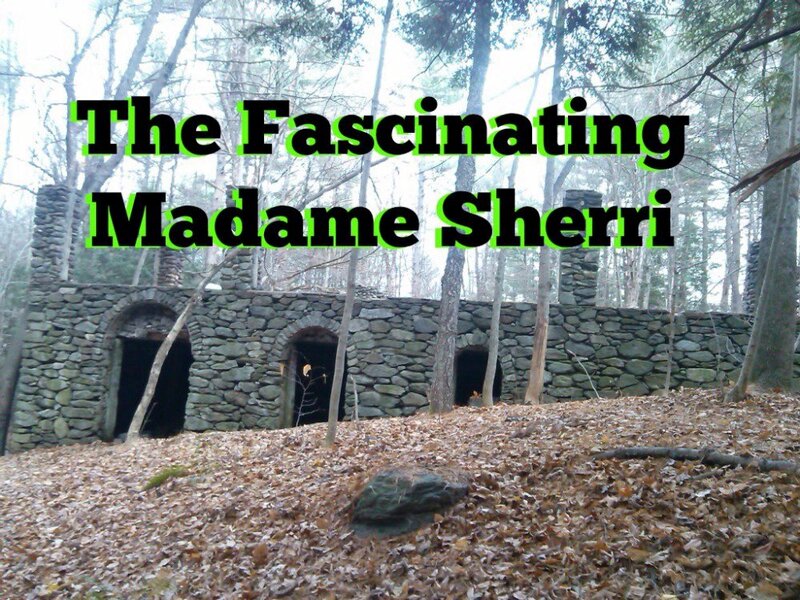 Madame Sherri | New Hampshire's Most Eccentric Resident? How to contact David Fiske.